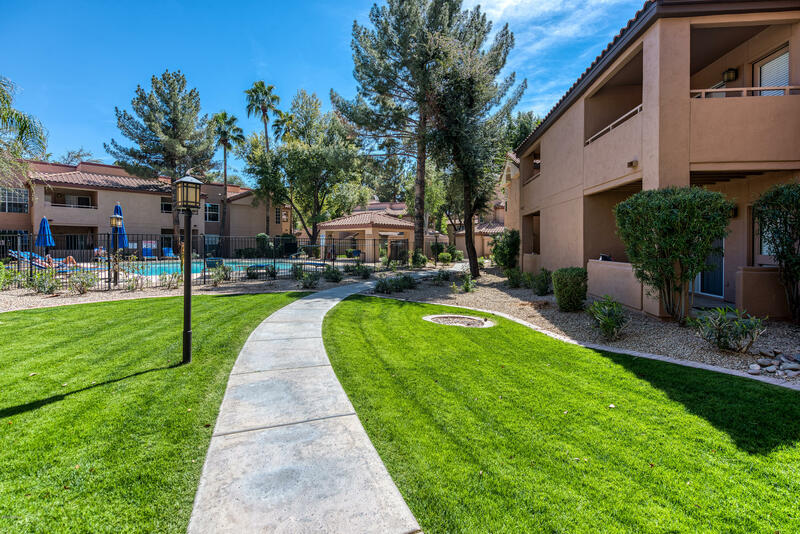 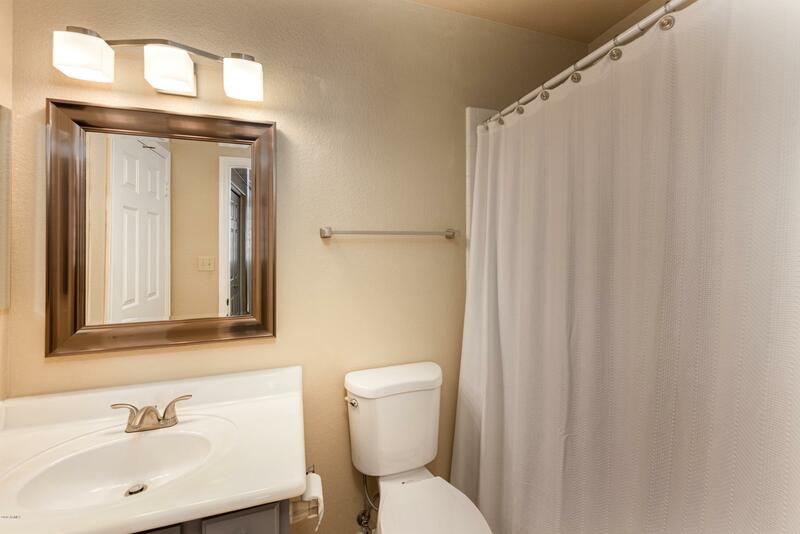 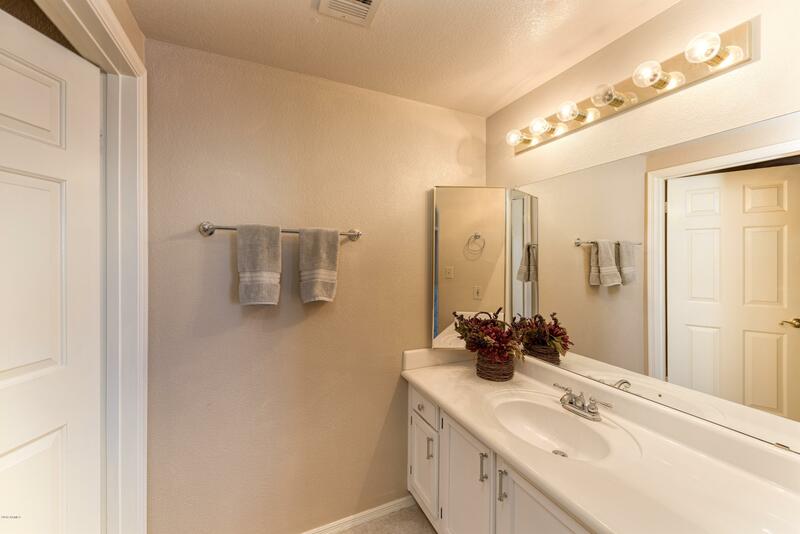 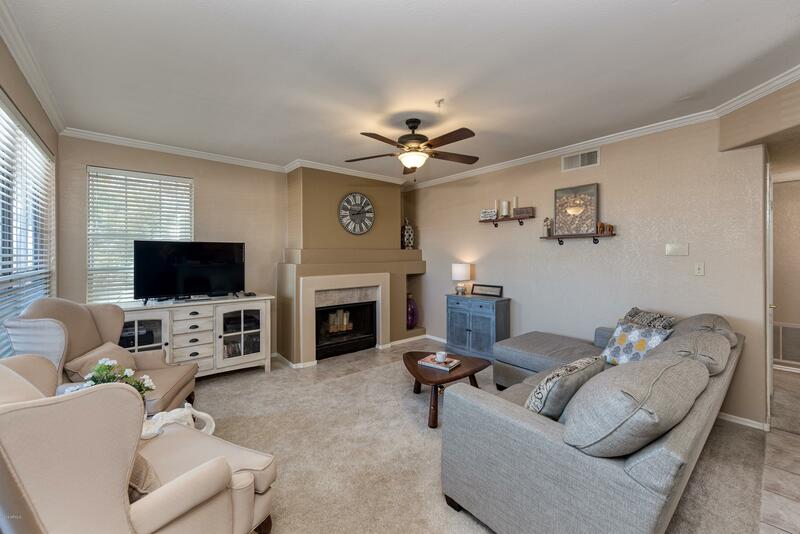 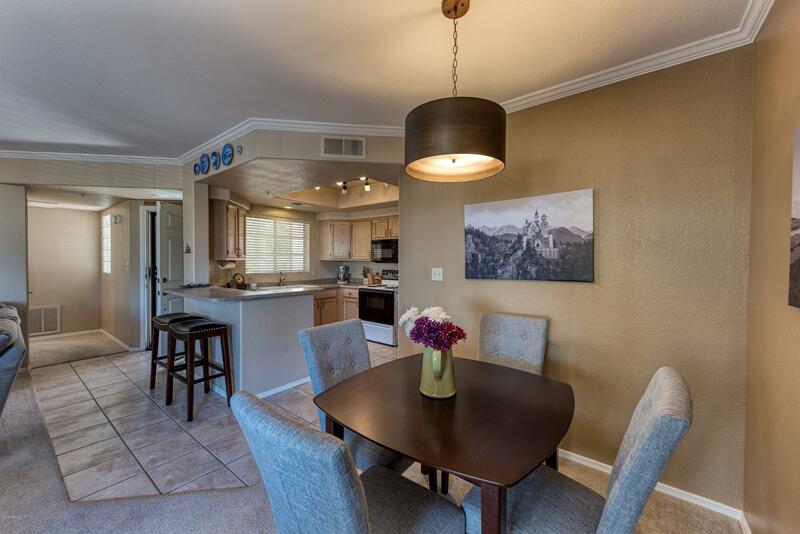 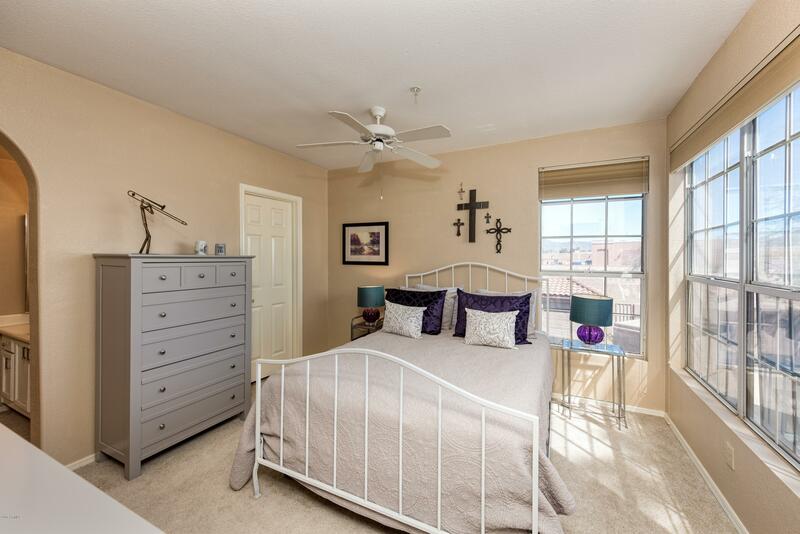 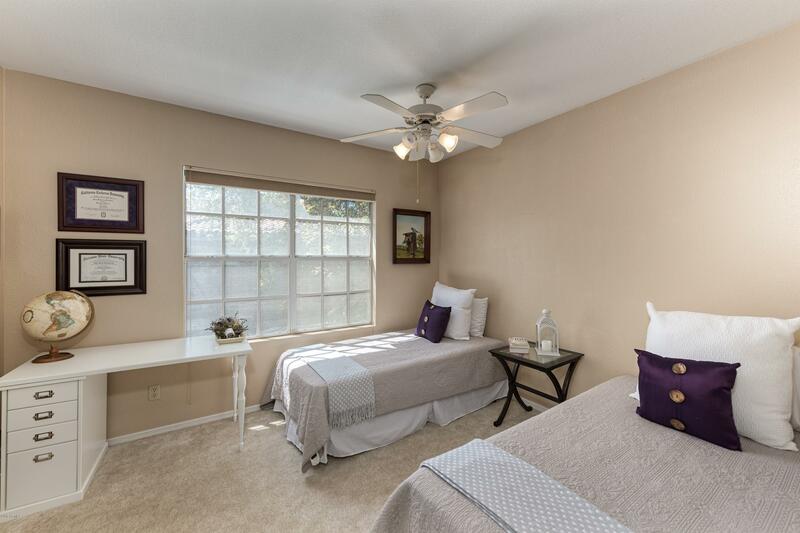 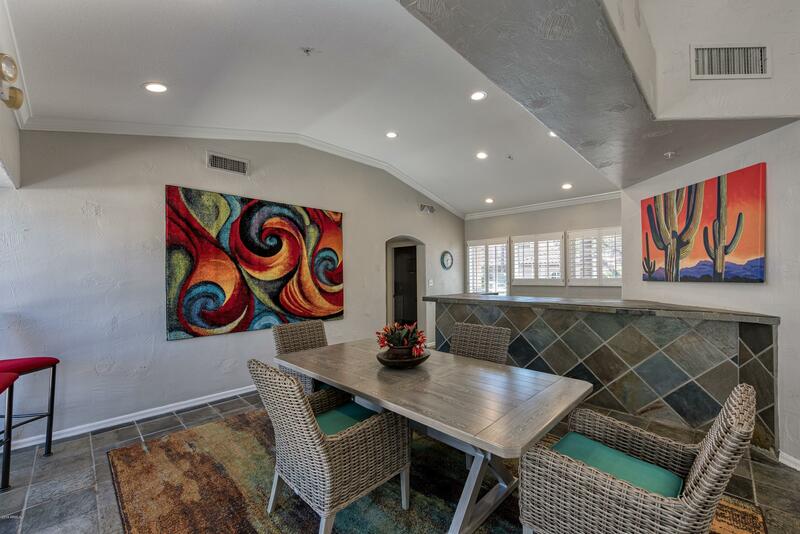 Fantastic 2bed/2bath condo in beautiful McCormick Ranch! 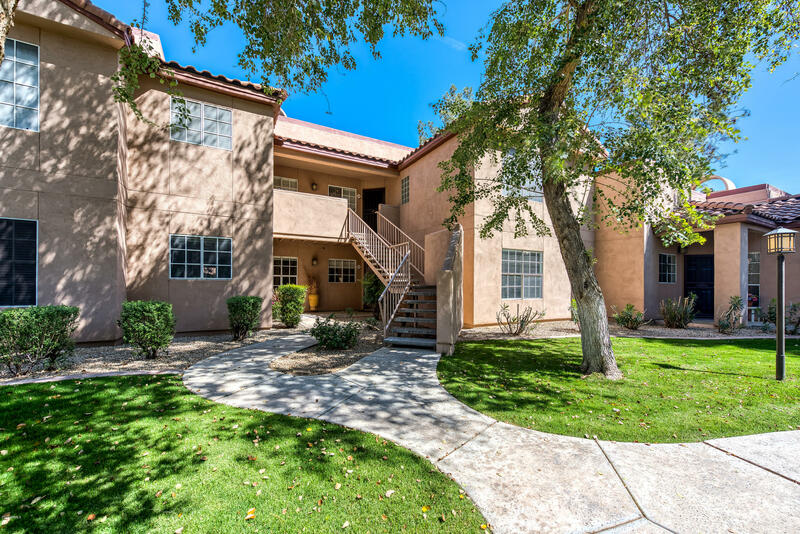 Perfect for a rental income property, first time buyer, or winter visitor! 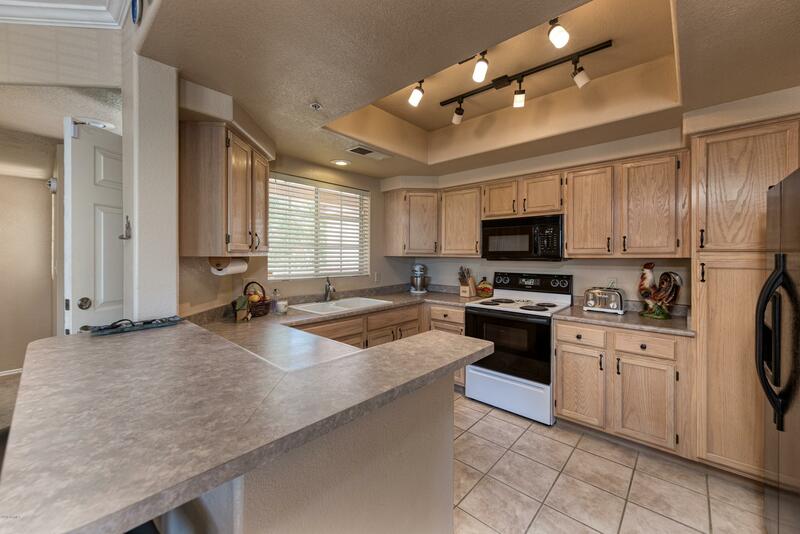 This 2nd floor unit provides a split floorplan, spacious kitchen with plenty of storage, generous counter space and a breakfast bar that opens to the living and dining areas. 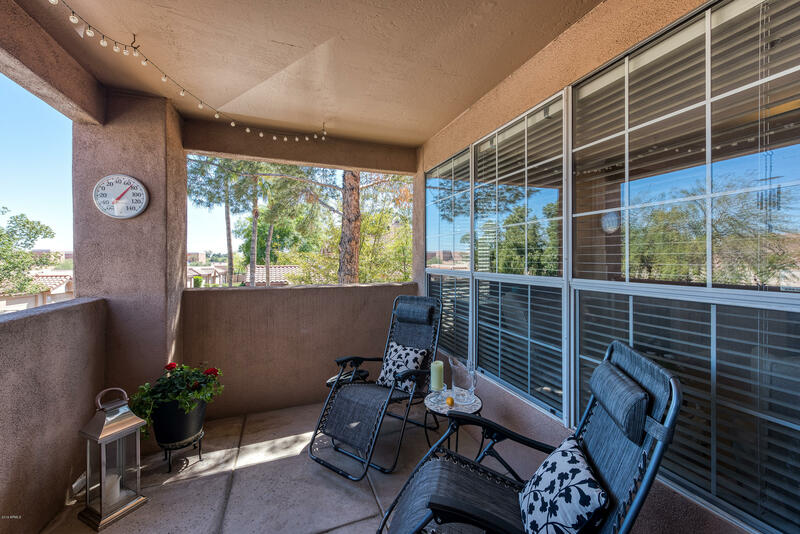 Enjoy the mountain views from a large covered patio. 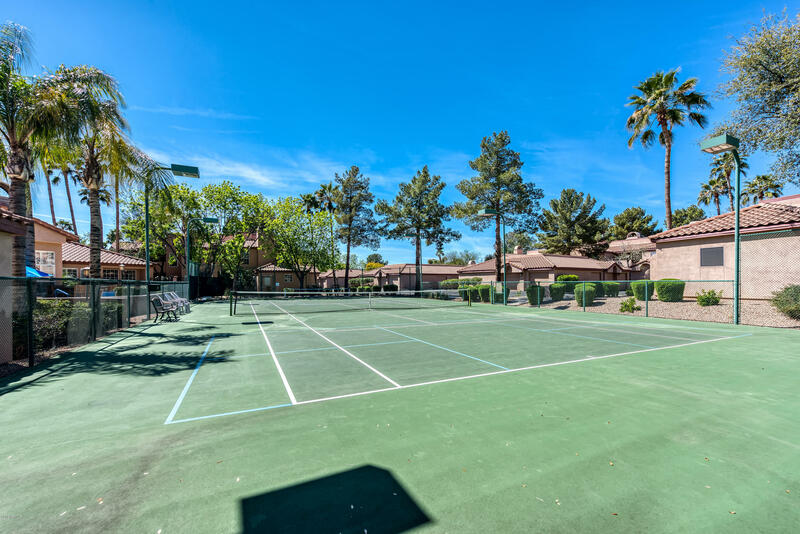 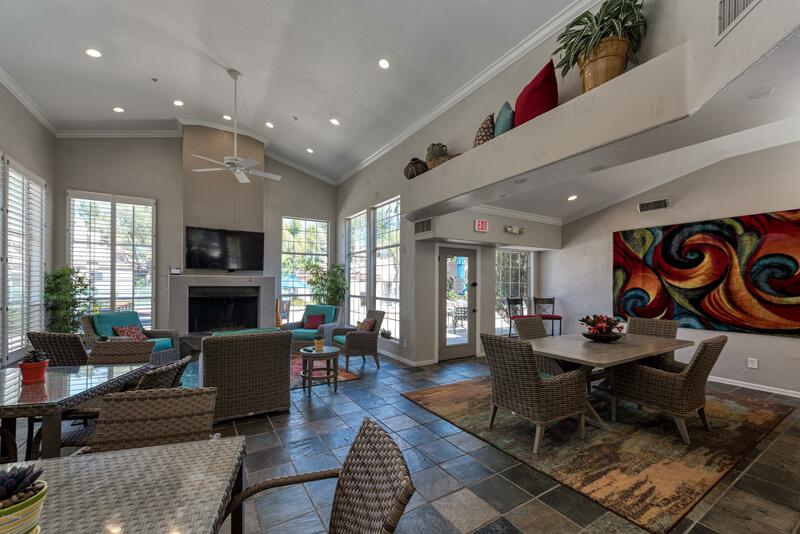 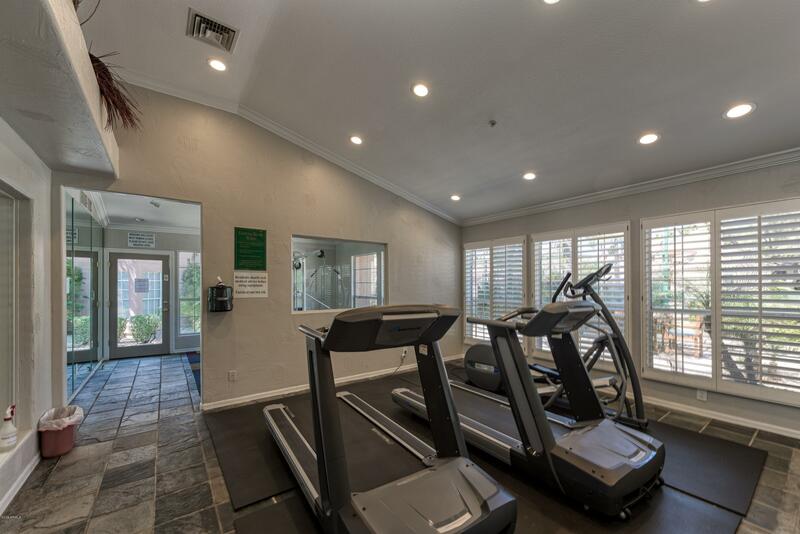 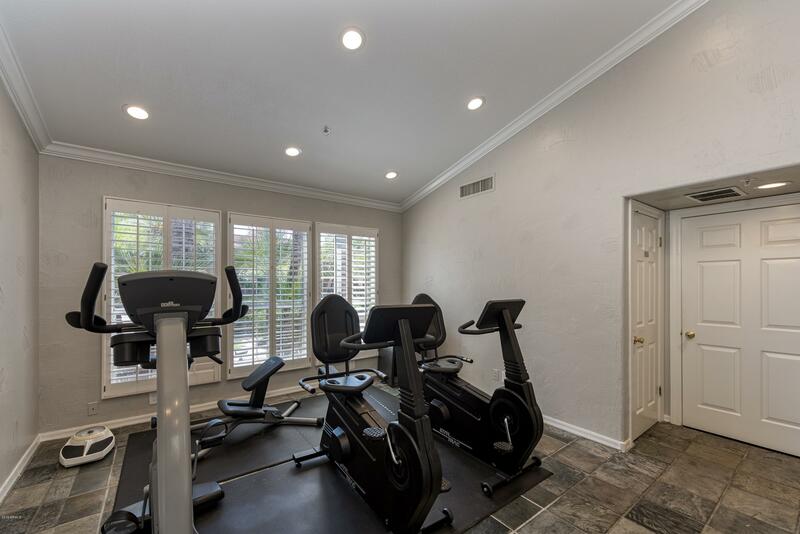 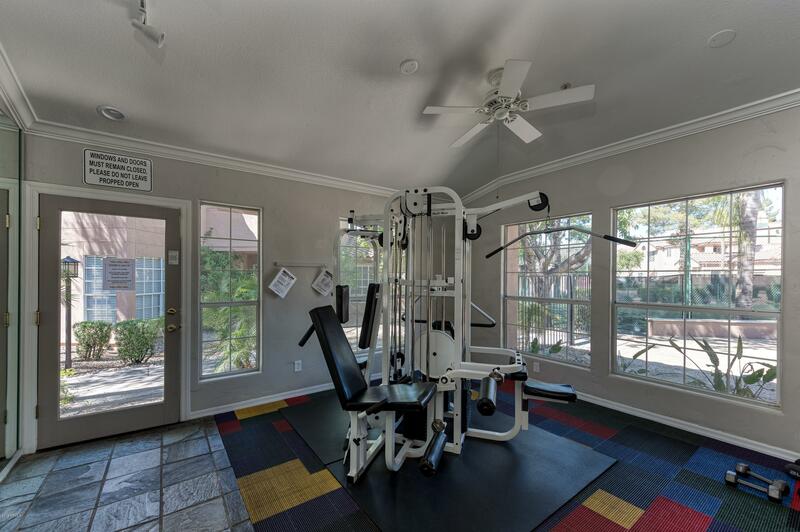 This clean and bright condo is both quiet and tranquil, conveniently located near the heated pool, tennis court and community fitness room. 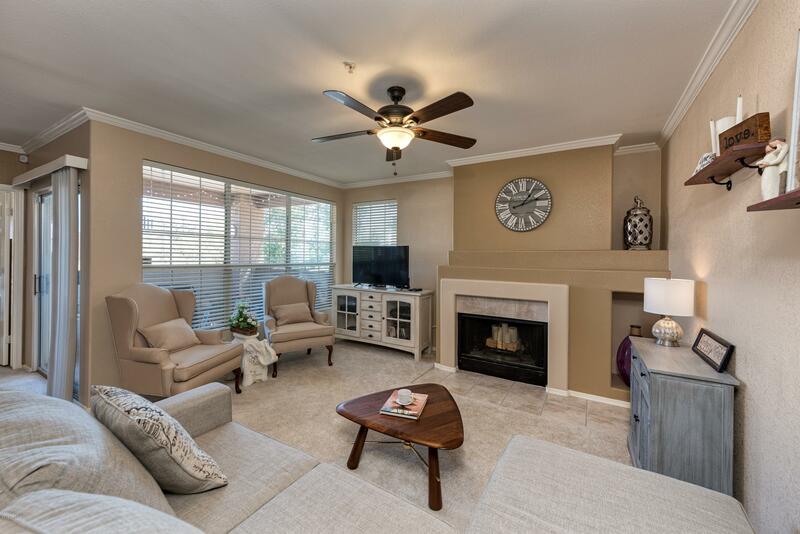 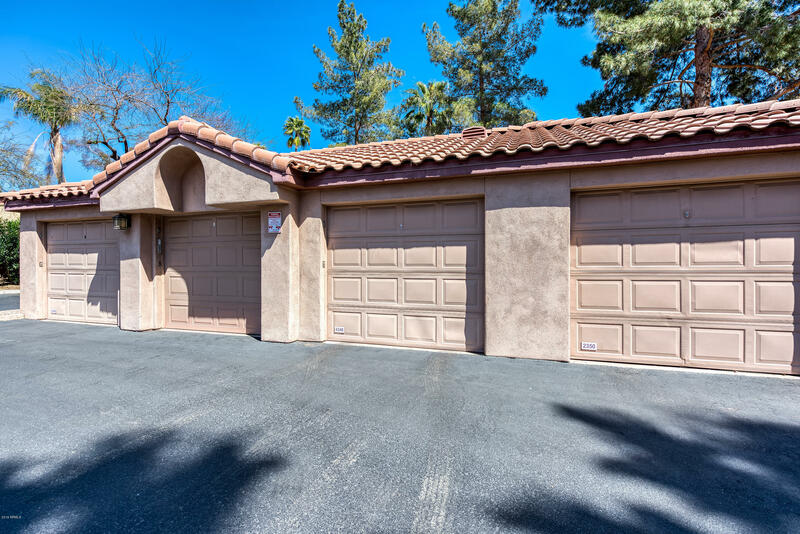 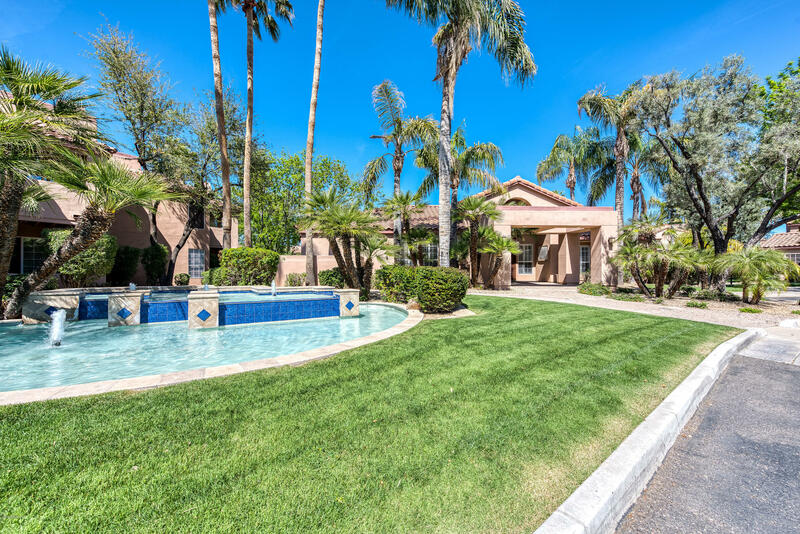 With details such as crown moulding, a wood burning fireplace, and a 1 car garage, you won't find a better deal in Scottsdale! 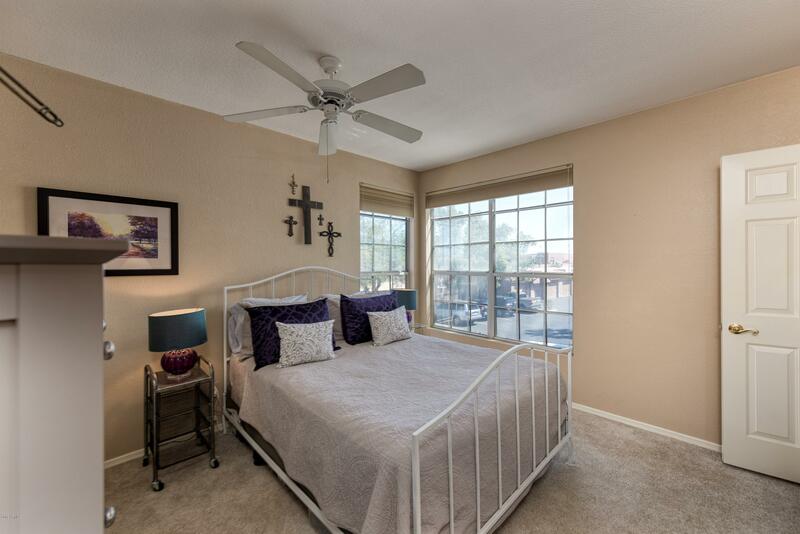 Move-in ready or easily upgrade to your choice of finishes...this one is priced to SELL!